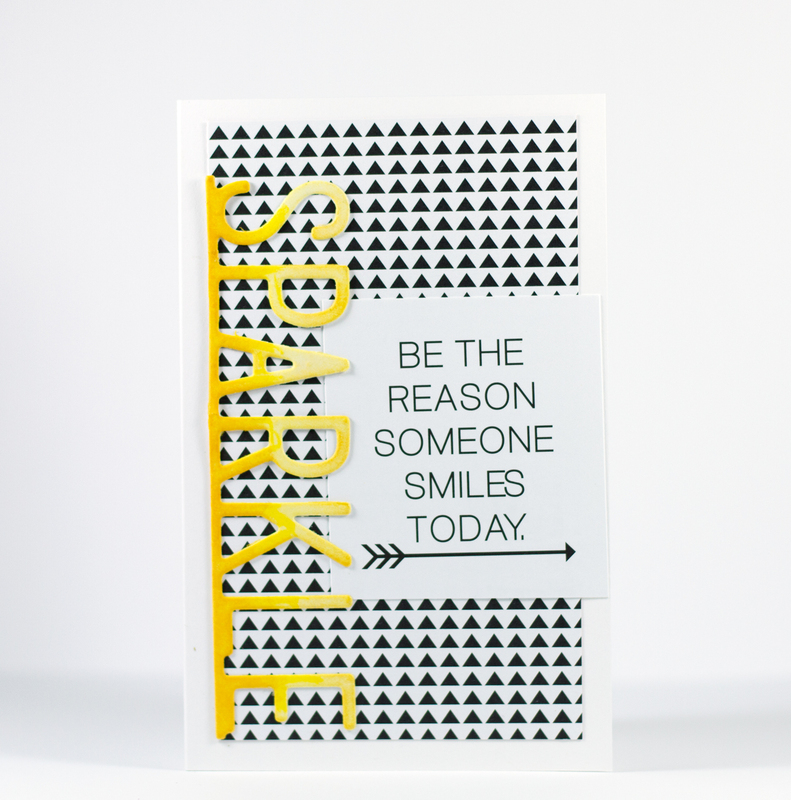 Every Friday needs a little sparkle, and thanks to Tyra Babignton's cards you get that! See her cute cards below! Happy Friday! 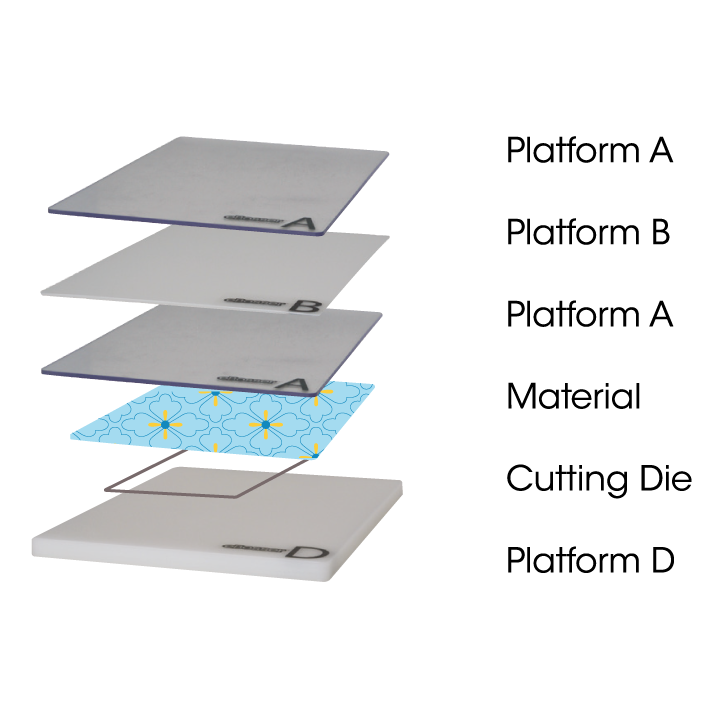 It's Tyra and I'm back to celebrate the great collaboration between Xyron and Craftwell, this time sharing cards to sparkle and encourage! Now that I have had more time to play with Xyron's Creative Station, I have to tell you that it's FABULOUS to use with some of the most intricate die cuts -- die cut words! The Cut 'N' Boss and Creative Station play so well together! Next, using the color medium of your choice, add color to your word die cut. 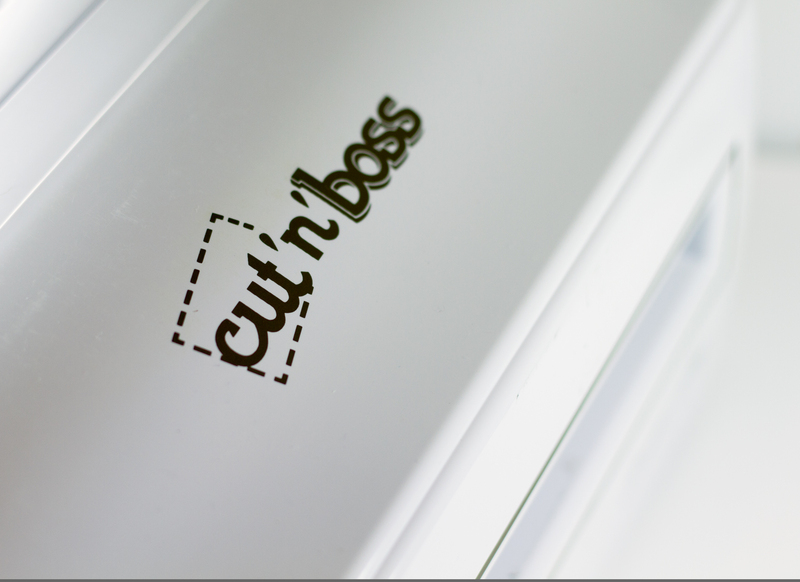 You can also add color prior to cutting to avoid tearing your word die cut. I used inks and a blender to apply color. 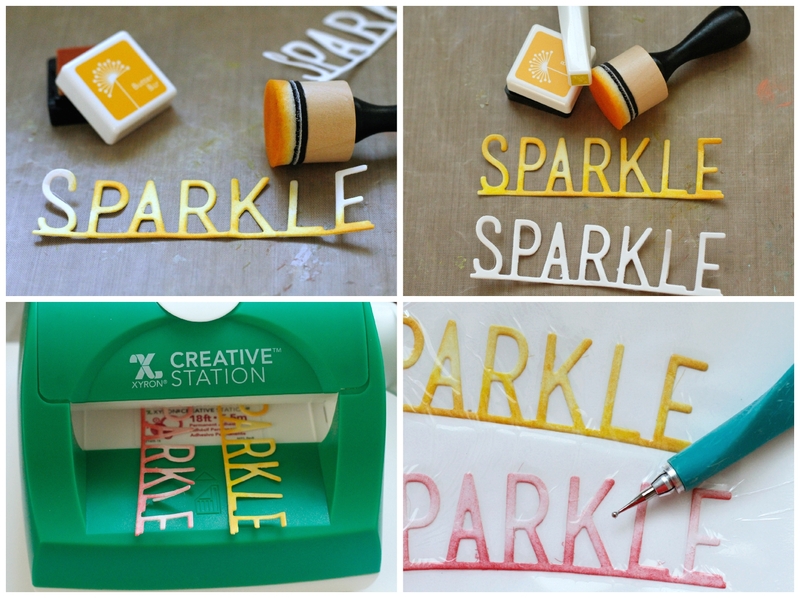 Take your die cut word(s) and gently feed into the Creative Station. Once you feel your paper "catch," start turning the Creative Station's handle to feed your die cuts fully through. 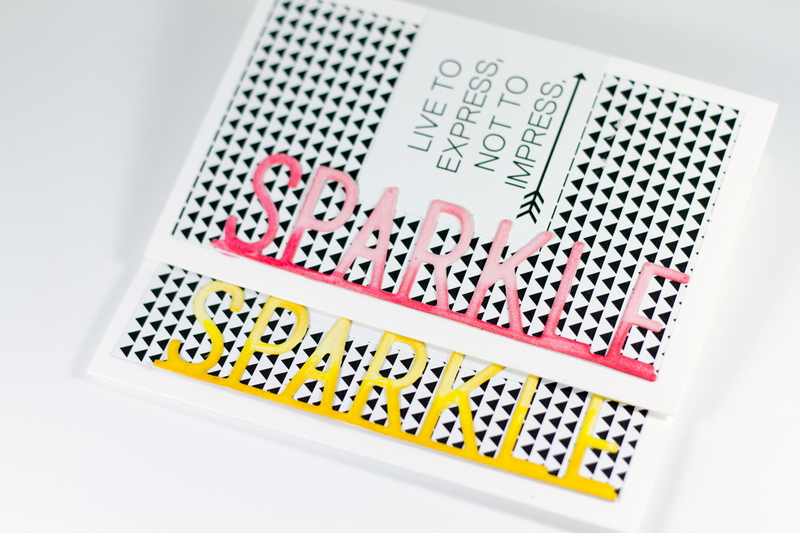 Cut to release and use a tool to carefully burnish around your word die cut, resulting in a word die with adhesive perfectly applied and ready to go! Let's take a look at the cards I created: Were you ready for all of those pictures? 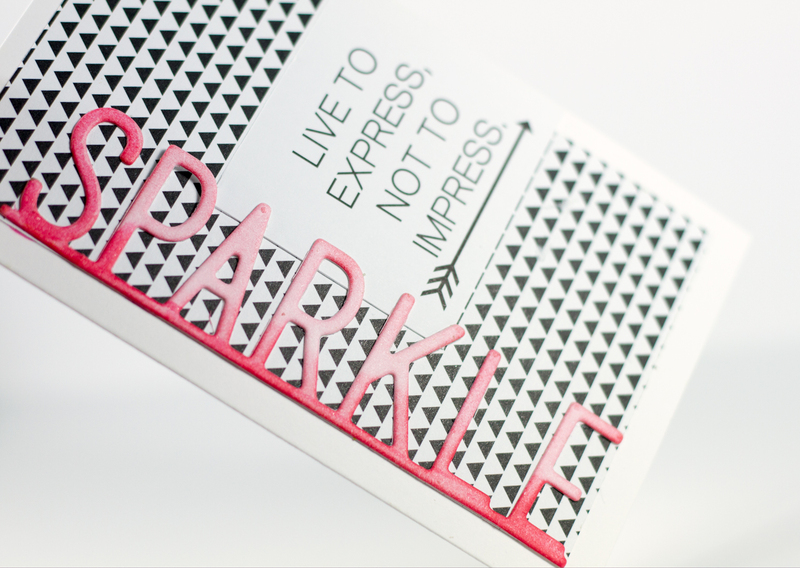 I want to demonstrate how the die cut word "Sparkle" is cleanly cut and free of excess adhesive! 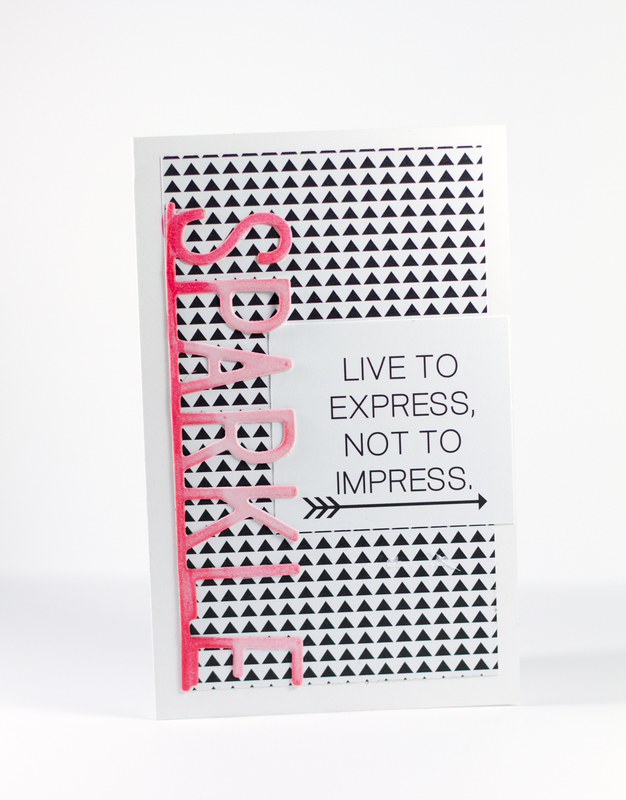 So get out those word die cuts that are often so hard to use and get crafty! Thank you Craftwell and Xyron!! I enjoyed this pairing of two awesome products. And I'm an official Xyron convert! Have a wonderful weekend! What do you think of Tyra's cards? Love this look! Great cards!